Excellent progressive rock ambiance, healing, emtionnaly and musically rich. Lot of people doesn't think that way but I still think this is one of their best albums ever made. need that tape!if you have one please let me know...! Perfect sounding vinyl. Some surface noise on quiet parts of side 3 and 4. Slightly warped but fortunately not audible. Sleeves are very nice but not poly-lined. Just picked this up the other weekend. I was hoping to get the Bernie Grundman (Only to find out there isn't a Grundman 2016, it was Doug Sax) reissue from 2016, but just couldn't find the right price. I saw this at a record store for the right price and didn't know too much about this specific pressing. After giving it a few spins and listening, it sounds fantastic. Exactly as you would expect from a Pink Floyd release. They did this one right and all sonics sound amazing. You won't be disappointed. It's OK if you like your music meandering everywhere & nowhere. 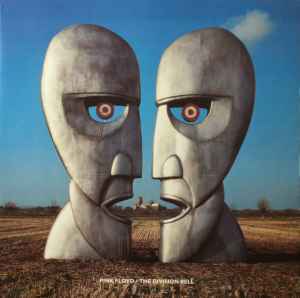 Stil do think that 1st Pink Floyd LP was / is their very best. Strange, considering it's made in 1967, isn't it ? I don't know which release i have, but the vinyl is complete picture disc. The men with the banners all over the vinyl discc with text Other Side and This side with the songs and duration. Other side of vinyl the two heads fill the album side complete. Lousy version, SQ like AM radio, how can anyone sell these? While this is definitely the exact release I have, how can this be a second edition when I bought it the the day it came out? Are we *certain* it's a second edition and not just a variant? Can anyone confirm the existence of this release? From what I have come to understand this was only released on black in the UK and on blue in the US. I purchased a copy of this from a Greek seller and what I recieved was a cheap counterfeit. Held next to my original UK edition on black the sleeve had many notable differences, mainly a very pixelated image and clearly made of different materials. If this was an authentic release the sleeve should be exactly like the black edition. Records I got in 2014 by EllieF.